Hand surgery is a science involving with all the hand problems ranging from the length of upper extremities to the finger tip. Bones, bonds, muscles, tendons, nerves and vessels form the members of the main structure. Bones are the basic components for stability and mobility. The mobile points where bones meet each other form the joints. There are cartilage coverings where bones make joints with each other. Moving down, there is only one bone between the shoulder and elbow joints, which is called humerus. There is radius placed on the thumb line between elbow and wrist called forearm, while there are ulnar bones placed on the little finger line. In the hand wrist there are 8 small bones (skafoideum, lunatum, trikuetrum, pisiforme, trapezium, trapezoideum, kapitatum, hamatum), names of which can’t be described easily by doctors that are not specialist on this branch of study. 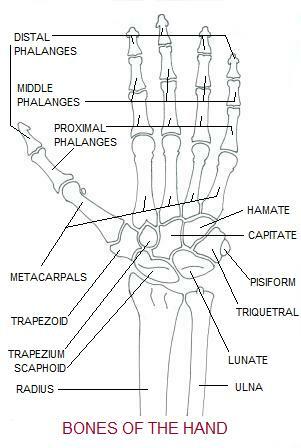 At the back of the hand, in the palm region of the hand, however, there is the group of bones correspond to the metatarsal bones in the foot, named metacarp that are 5 in number, each of which lead to each finger base and finally there are the phalanx bones forming our fingers. Thumb has two phalanges while other fingers have has 3 phalanges each. They are named proximal phalanx and middle phalanx and distal phalanges according to their positions. Tendons are the components that enable bones to attach each other where they form the joints. Vessels are pipe-like structures that carry away and return blood from heart to the various parts of the body. They enable the area where the blood is carried to live. They are called arteries (carry blood from the heart through the body) and veins (carry blood from the capillaries toward the heart). On the arm level, a single brachial artery and on the forearm level two main arteries (radial and unlar arteries) and their branches serve. 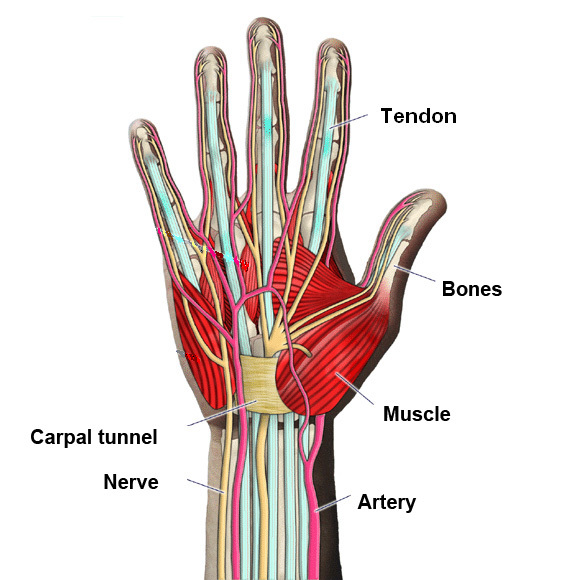 On the palm and fingers level, however, the branches that are united first and re-given by radial and unlar arteries provide these areas with blood. Veins are more in number and have variable anatomic placements.